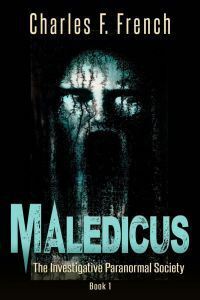 MALEDICUS by Charles F. French, is an evocative and riveting story, that will keep you up late into the night, because you won’t be able to put it down. This story is not to be missed. 5 stars! This is a revisiting of several posts I wrote about the characters from Maledicus: The Investigative Paranormal Society Book I. Book 2, Gallows Hill, will be out in January or February.